The Replacements have released a track from that Songs For Slim benefit 7-inch record. “I’m Not Sayin’” is a cover of a Gordon Lightfoot track and should more than satisfy any ‘Mats fans who have been suffering from withdrawl for the past 20-odd years. It’s streaming on Pitchfork now. The track is part of the previously-announced EP recorded by Paul Westerberg, Tommy Stinson, and Chris Mars, proceeds from which go to benefit former Replacements guitarist Slim Dunlap, who had a stroke in 2012. The band pressed just 250 7-inch copies of the EP, which they auctioned off in January, raising over $100,000. The record will be released digitally March 5 and on 12-inch April 16. 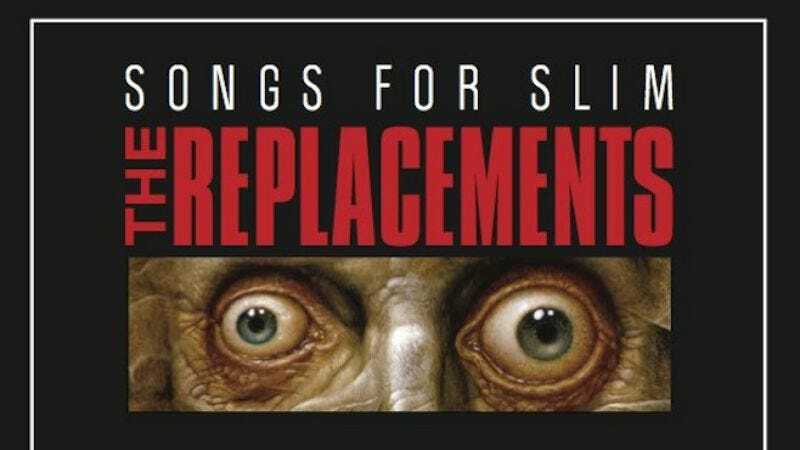 More Songs For Slim records are also forthcoming, though probably not from The Replacements. A week-long auction will start on the 15th of each month to sell copies of other 7-inches recorded by other friends of Dunlap. March’s auction features a single from Lucinda Williams and Tommy Keene, and future contributors include Craig Finn, Frank Black, John Doe, Deer Tick, and more.